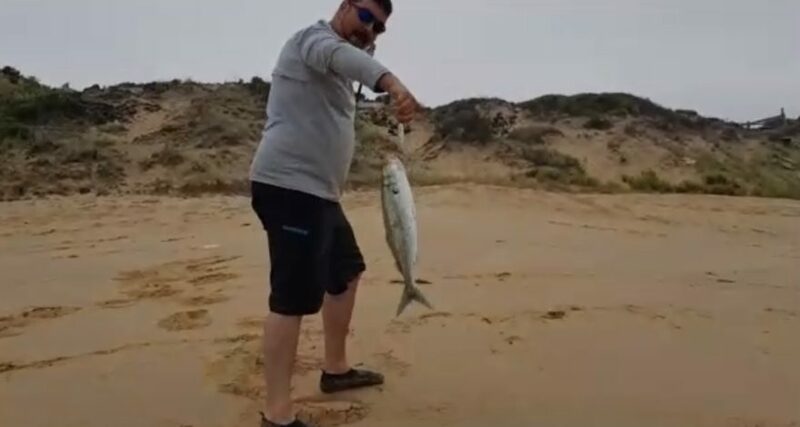 Fishing Report Kilcunda surf beach salmon. Sam Ogutucu ventured past Western Port in the direction of Phillip island. Eventually stopping a the very picturesque surf beach in Kilcunda known for its sheltered reefs and waves. Sam was armed with long casting metal slugs. Launching them as far as possible into the bass straight hoping to find schools of salmon. He managed to land a handful of salmon between 40cm and 55cm. Salmon always give a great fight on light spinning gear. The first one landed within the first 15 minutes. After that Sam threw out a paternoster rig loaded with Pilchard and managed to land a few nice flathead that were the perfect eating size. All in all a great day out enjoying some scenery and catching some fish.